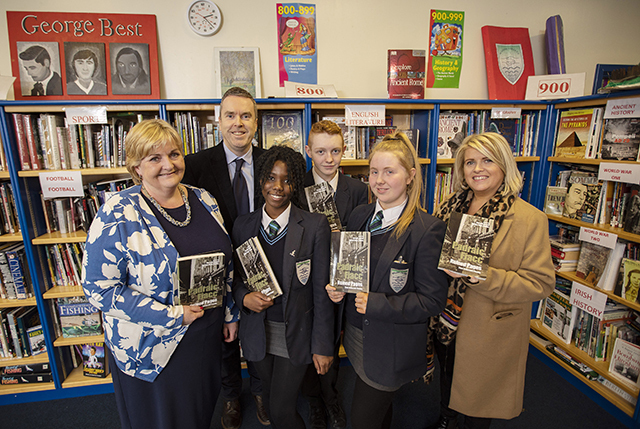 Image: Pictured are year 11 students from Malone Integrated College with Principal Katrina Moore, James Kerr from Verbal Arts and Gilly Campbell from the Arts Council. 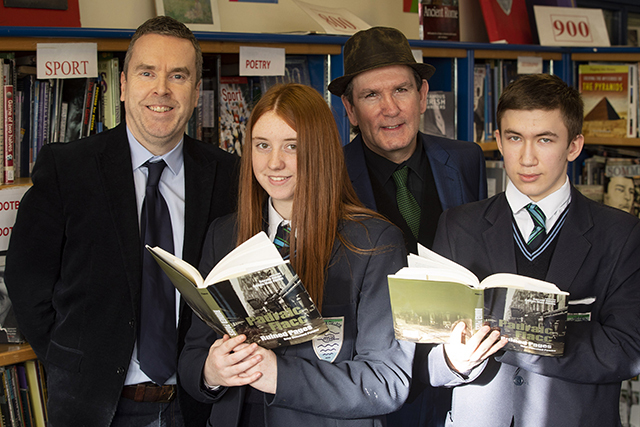 Secondary schools across Belfast are set to receive a copy of the late Padraic Fiacc’s Selected Poems Ruined Pages, in memory of the influential poet who died aged 94 at the end of January. 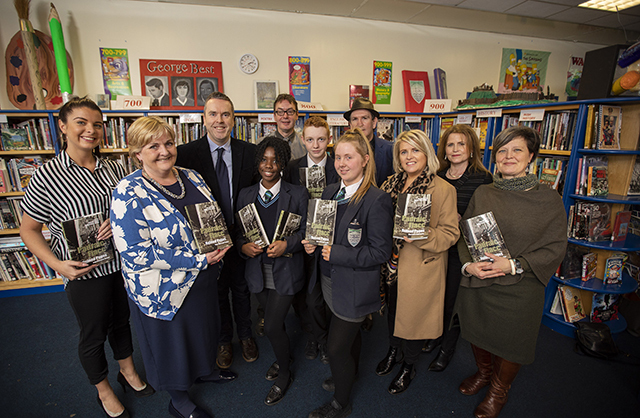 The books are a gift from the Verbal Arts through its publishing imprint, Lagan Press, and with support from the Arts Council of Northern Ireland and the Education Authority will be distributed to 50 secondary schools across the city. Born Patrick Joseph O’Connor in Belfast in 1924 and later emigrating with his family to New York in the late 1920s, Pádraic Fiacc is best known for his writing on the Troubles. He enrolled at St Joseph’s Seminary, Yonkers in 1941 and studied for five years under the Irish Capuchin Order. Unhappy at the life of a prospective priest, he left the seminary and came to Belfast in 1946, where he immediately began forging a reputation as a poet. His first full collection, By the Black Stream, was published by Dolmen Press in 1969. Other volumes quickly followed, as well as a miscellany of his critical and autobiographical work. Recent collections include Sea: Sixty Years of Poetry by Pádraic Fiacc (edited and illustrated by Michael McKernon, 2006) and In My Own Hand: Poems Written in the Poet’s Own Hand (2012). Fiacc was recognised for his contribution to Irish literature when he was elected a member of the Aosdana in 1981 and honoured by Belfast City Council in 2012 with a special reception at City Hall.